While age is just a number to many, it’s one of the more important numbers when it comes to playing in the NBA. Sure, players over the age of say, 35, can still produce, but it’s massively shocking if they’re able to produce at the level they did earlier in their careers. This especially stands true for the stars who have carried their teams at times and played huge minutes along the way. Sometimes, Father Time catches up, and then it’s time for a professional NBA player to call it quits. Other times, a player may not even come close to that dreaded age of 35, and they still need to call it a career. 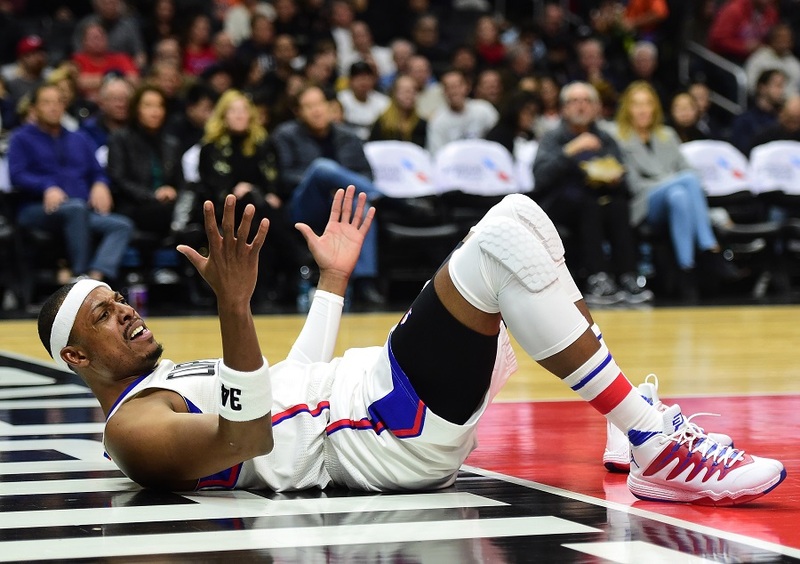 Whichever way you look at it, we’re going to break down five current NBA players who need to retire right now. And we’ll start with one of the best power forwards to ever play the game. If this list came out last year around this time, we’d probably keep Manu Ginobili off this list. Unfortunately, it’s time for him to call it after this season. Hopefully he and one other man on this list can go out on the highest of notes with an NBA championship though. Ginobili will turn 39 years old in July 2016, and posted the lowest numbers of his career since his first season with the Spurs back in 2002. During the 2015-16 season, he averaged just 9.6 points, 3.1 assists and 2.5 rebounds over 19.6 minutes per game. Ginobili may try to give it another go for one or two more seasons, but here’s to hoping that he can win a championship and then retire on a beach somewhere and enjoy his time away from basketball. “The Truth” had one heck of an NBA career, complete with a whopping 15 seasons playing for the Boston Celtics. The 38-year-old is deserving of a whole lot of praise for a stellar career, and he will go down as one of the greatest Celtics of all time. Over the past three seasons, though, since leaving Boston, Paul Pierce has struggled to keep his numbers up. It started in Brooklyn with the Nets, where Pierce averaged 13.5 points in 28 minutes per game back in 2013. Then in 2014 with the Washington Wizards, Pierce averaged 11.9 points in 26.2 minutes per game. To round it all out, we have this current season with the Los Angeles Clippers, one in which he’s averaging just 6.1 points in 18.1 minutes per game. The decline is obvious, and he hasn’t been able to carve out a role for himself in Los Angeles. It’s time for Pierce, who turns 39 in October, to join his old teammate Garnett in the retirement club. With all due respect to KG, the man is set to turn 40 years old and was able to play in just 38 games this season. He’s a sure first-ballot Hall-of-Famer, he won a championship, and he took home a league MVP award as well. Unfortunately, over the past three seasons, we’ve seen Kevin Garnett average just 6.5, 7.2, and 3.2 points per game, respectively. This season alone, in the 38 games he played for the Minnesota Timberwolves, he saw just an average of 14.6 minutes per game on the court, while posting 3.2 points, 3.9 rebounds, and 1.6 assists per game. Garnett is a legend, but even legends have to ride off into the sunset at some point. Everything said about Ginobili above can be said about Tim Duncan. The respect that the sports world and NBA specifically should send in his direction is hard to put into words. Duncan is one of the best big men to ever play the game, and his 19 seasons with the same franchise throughout the entire run is probably just as impressive. 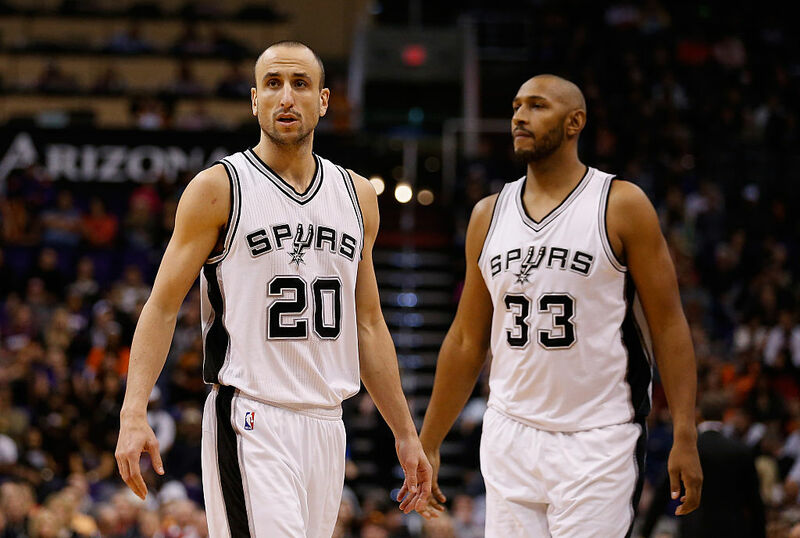 The 40-year-old has been a staple of Spurs basketball over the past 19 years, but his decline is obvious. Duncan is playing less minutes per game, and we’ve seen his numbers decrease over the past three seasons. Back in 2013, he averaged 15.1 points, 9.7 rebounds, and three assists over 29.2 minutes. In 2014, he averaged 13.9 points, 9.1 rebounds, and three assists over 28.9 minutes. Then came the tough 2015 season in which he played in 61 games, averaging just 8.6 points, 7.3 rebounds, and 2.7 assists over 25.2 minutes. 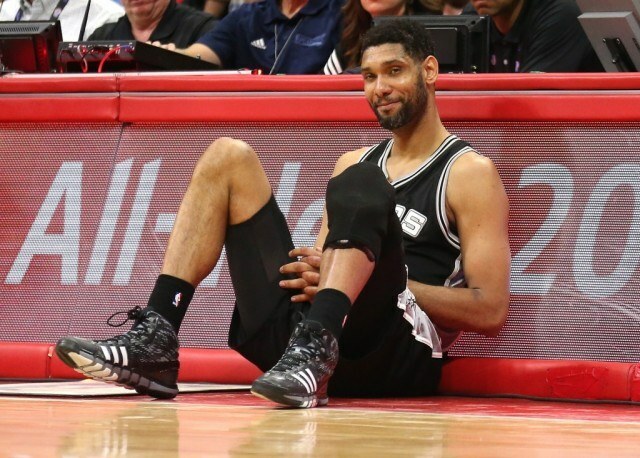 Duncan’s right there on the line of retirement, and everyone knows it. Josh Smith is the rare exception on this list. He’s not in his upper-30s; he just hit the age of 30. Unfortunately, he can’t seem to really find a home or a team that fits his playing style. Or maybe, he’s just lost the upside we saw early on in his career. Unfortunately, Smith isn’t the player we saw back in 2011 for the Atlanta Hawks, where he averaged 18.8 points and 9.6 rebounds per game. Between two teams in 2015-16, he averaged just 6.15 points, 3.4 rebounds, and 1.7 assists per game. His decline over the past two seasons is majorly discouraging. While he averaged 18.3 minutes per game with the Houston Rockets (after being traded from the Los Angeles Clippers in 2015-16), he still averaged just 6.6 points, 2.9 rebounds, and 2.1 assists per game. It’s been a tough few seasons for Smith, and he needs to prove he can turn it around, or else early retirement may be on the horizon.